When going uphill on your bike feels impossible or when you just don't want to pedal anymore, a bike like The Beast seems very appealing. Looking more like a motorcycle than your typical bike, the street legal solar-powered e-bike that can take you up and down hills, trails, rough terrain or just down the street at up to 20 mph and has a range of 40 km. 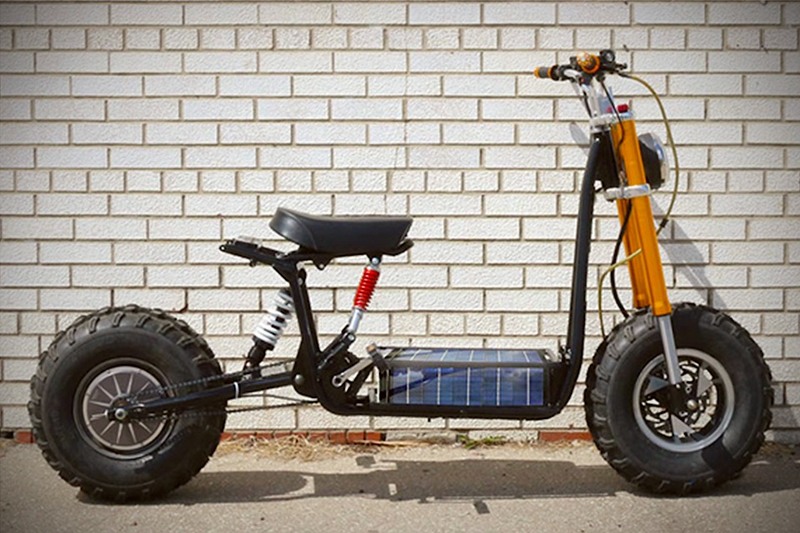 The battery is charged continuously by the sun but you can still pedal in case it runs out of juice, and it comes with two USB ports to charge your gadgets.